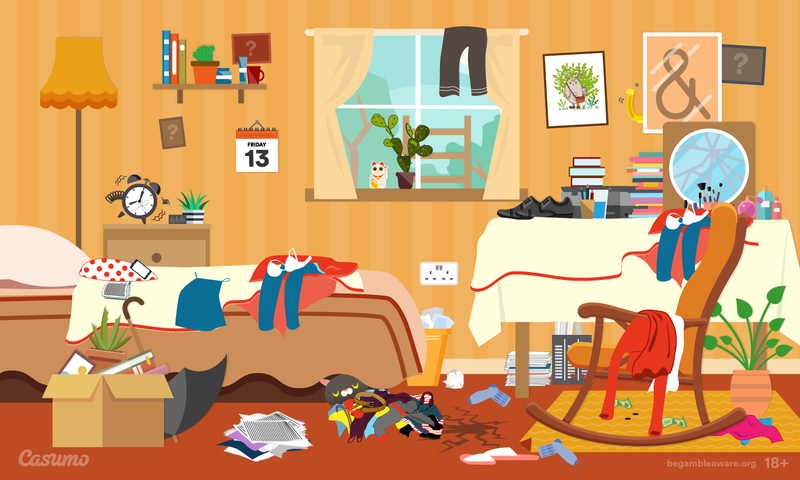 Black cats, cracks in the floor and ‘the number of the beast’ – will you be fortunate enough to spot all 13 of the unlucky omens in this bad-luck bedroom? The devious puzzle, created by Casumo.com, hides some of the most common unlucky objects we all come across in our daily lives. Did you know that putting new shoes on a table top is considered bad luck? Or that rocking an empty rocking chair is believed to welcome evil spirits into your home? Some consider getting out of a particular side of the bed unlucky, while an upside-down horseshoe supposedly catches the bad luck that a correctly-orientated one would simply bounce off.